EONIAN[ee-oh-nee-uhn] is a single expression of wine that symbolizes the love of two countries—Australia and America— and the grape varieties that brought them fame. It is a blend of Syrah and Cabernet Sauvignon. The Syrah contributes plush, rich flavors of concentrated blueberry and blackberry fruit with a classic white pepper spice. The Cabernet adds a muscular tension to the blend with layers of espresso bean, dark chocolate, clove, and cedar. Together, they create a distinctive red blend that can be enjoyed now or savored in years to come. The Syrah comes from a spectacular vineyard known as “Tip Top" that sits 1,800 feet above sea level in the eastern mountains of Napa Valley and has sweeping views of the valley below. It is planted on low yielding Sobrante series soils on steep terraces and is farmed sustainably. 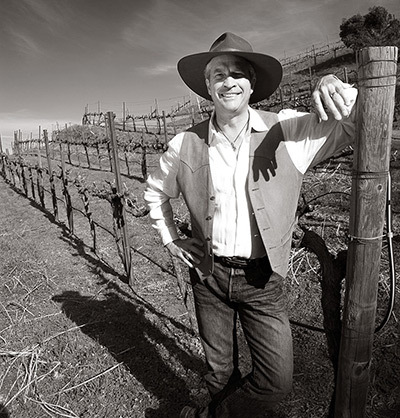 The original vineyard can be traced back to the 1890’s but was renovated in the 1970s by current owners Jay and Pam Heminway. The Cabernet Sauvignon fruit comes from two highly-regarded vineyards; one located in the Oak Knoll district along the western benchland and the other located in the Rutherford district on Skellenger Lane.